The bacteria found in a hog operation is resistant even to some of our most powerful antibiotics. More than 70 percent of the antibiotics consumed in the United States go to livestock farms, one of the main triggers driving a rising crisis of antibiotic resistance in human medicine. On Tuesday, researchers from Ohio State University published an alarming findingin a peer-reviewed journal: On a US hog farm, they found bacteria that can withstand a crucial family of antibiotics. Carbapenems, as they are known, are a “last line of defense” against bacterial pathogens that can resist other antibiotics, the paper notes. Worse still, the gene that allowed the bacteria to resist carbapenems turned up in a plasmid—small chunks of DNA found in bacterial cells. Plasmid-carried genes bounce easily from one bacterial strain to another, meaning that carbapenem resistance is highly mobile—making it more likely to find its way into bacterial pathogens that infect people. If this news sounds depressingly familiar, it’s because something very similar happened with another last-ditch antibiotic, colostin. About a year ago, Chinese researchers alarmed global public health authorities when they found a “plasmid-mediated” strain of colistin-resistant E. coli on a Chinese hog farm. As predicted, it quickly went global, and it turned up in the United States in a patient in May, as well as in a pig intestine identified by US Department of Agriculture researchers. In September, Rutgers and Columbia University researchers found a strain of E. coli with plasmid-carried resistance to colostin and carbapenems. 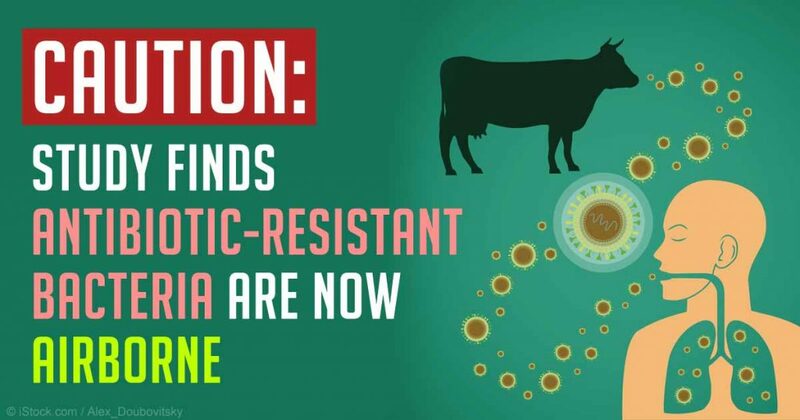 The new Ohio State study marks the first time plasmid-borne carbapenem resistance has been found on a US farm, though it has turned up in livestock operations in Asia and Europe, the researchers write. On Tuesday, researchers from Ohio State University published an alarming finding in a peer-reviewed journal: On a US hog farm, they found bacteria that can withstand a crucial family of antibiotics. Carbapenems, as they are known, are a “last line of defense” against bacterial pathogens that can resist other antibiotics, the paper notes. Worse still, the gene that allowed the bacteria to resist carbapenems turned up in a plasmid—small chunks of DNA found in bacterial cells. Plasmid-carried genes bounce easily from one bacterial strain to another, meaning that carbapenem resistance is highly mobile—making it more likely to find its way into bacterial pathogens that infect people. To see whether carbapenem resistance is taking hold on US hog farms, the researchers settled on a 1,500-sow confined operation that follows “typical US production practices,” which include giving newborn pigs a dose of an antibiotic called ceftiofur at birth, with the males getting a second dose when they’re castrated at six days. Interestingly, carbapenems are banned from use in US farms. But ceftiofur is a member of the cephalosporin family of antibiotics, which kills bacteria in a similar way to carbapenems, and the authors speculate that those ceftiofur doses “may provide significant selection pressure” for the emergence of carbapenem resistance. They found it in swabs taken from the the surfaces of the farrowing and nursery pens. But given how quickly the gene can jump from one bacterial strain to another, the study identified a ticking time bomb. Cephalosporins, the class of antibiotics that may have triggered the carbapenem-resistant bacteria on this particular farm, aren’t administered nearly as much as other antibiotics on US farms, but alarmingly their use jumped 57 percent between 2009 and 2014, according to the latest Food and Drug Administration numbers. And the Ohio State study settled on one typical US hog operation. Who knows what’s going on with the 21,000-plus others. Infections with these germs are very difficult to treat, and can be deadly—the death rate from patients with CRE bloodstream infections is up to 50 percent. The CDC says these bacteria already cause 9,300 infections, and 600 deaths each year. To date, CRE infections occur mostly among patients in hospitals and nursing homes; people on breathing machines, or with tubing inserted into their veins or bladders are at higher risk, as are people taking long courses of certain antibiotics. But newer, more resistant kinds of CRE seem to be causing more problems outside hospitals, in communities and among healthier people. Way back in 2012, the Obama administration introduced a new set of guidelines—that will finally go into full effect on January 1—designed to preserve antibiotics as a bulwark against dangerous infections by curbing their use on farms. As I show here, meat farms use about three times as much of these vital drugs as does human medicine. Yet the Obama guidelines are both voluntary and contain a huge loophole, which I tease out here. And now, even as terrifying superbugs continue appearing in the United States, we have a new president whose agriculture advisers have expressed nothing but hostility toward regulating food production. This entry was posted in Uncategorized and tagged agriculture, air pollution, antibiotics, Disease, farming, resistant antibiotics, water pollution. Bookmark the permalink.